Our MEDICAL ID SPORTS BANDS are adjustable from 6″ to9″,material is high quality nonwoven fabric or nylon, waterproof and the medical id plates are removable and interchangeable. We offer a selection of medical sports bands for boys, girls and adults! We offer single color and color mixing, mixing different colors woven, provides a wealth of selective. 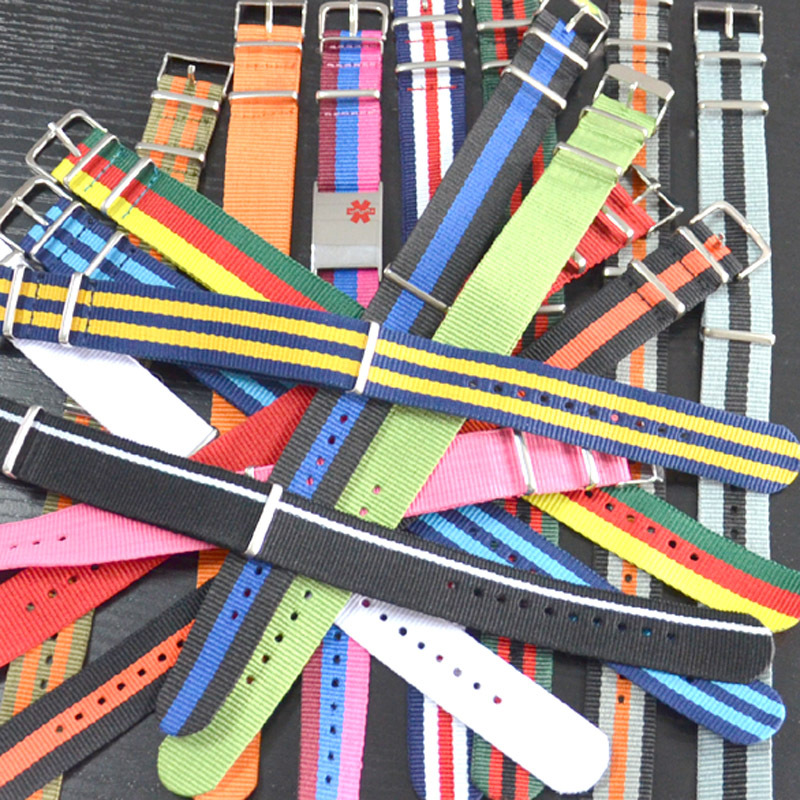 Our medical id sports bands are constructed using a watch bands. We carry different styles of medical bands and tags that are fully interchangable with our medical id alert sports bands. All of our Slider Medical id sports band tags using high-quality stainless steel, default is shiny polish, of course, you can also choose brushed, we can custom engrave text and symbols, all are free, or very little fee.